The Minister of Environment and Water Neno Dimov signed a contract for the construction of an anaerobic installation for the municipalities of Rousse, Ivanovo, Slivo pole, Tutrakan and Vetovo. The project consists in constructing a facility for the processing of separately collected biodegradable waste generated on the territory of the Regional Waste Management Association for Rousse region. The implementation of the project will provide additional waste recycling capacity of nearly 18,000 tons per year. The anaerobic treatment plant will serve over 200,000 inhabitants. The total amount of the investment is about 34.8 million BGN. The Operational Programme Environment 2014-2020 (OPE) provides grants amounting to BGN 26 million. The project implementation period is 45 months. 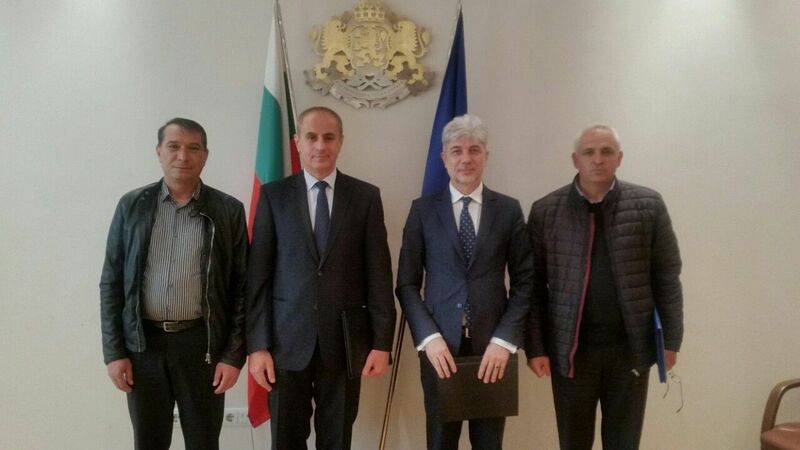 Minister Dimov also signed a contract for waste treatment facilities with the municipalities of Kyustendil, Treklyano and Nevestino. The project envisages the design and construction of a pre-treatment plant for domestic waste with a capacity of 15,500 tons per year and an installation for aerobic composting of green and / or biodegradable waste with a capacity of 3000 tons per year. The facilities will serve 53 000 inhabitants. Pre-treatment of waste will allow the disposal of various useful raw materials from the disposal volume. As a result, a 60.6% reduction in landfilled waste will be achieved (against the amount of input stream). Green and biodegradable waste will be recycled through aerobic composting to obtain a useful product and will be used to produce compost. The project is worth almost BGN 9.7 million. The OPE provides grants amounting to BGN 7 million. The implementation period of the project activities is 35 months.